One of the things that we hear time and again is about government plans to reduce greenhouse gas (GHG) emissions by a certain percentage at some point in the future. While it is important to have a target to strive for, it is equally important to have a plan for how to get there. Investing in transit is one of the ways to reduce GHG emissions in the transportation sector, but even buses create GHG emissions. The Mayors’ Council on Regional Transportation recently adopted a plan which would see TransLink’s GHG emissions reduced by 80% by 2050 using 100% renewable energy. So, how does TransLink’s plan to accomplish this? Within the current bus fleet, TransLink has a combination of diesel, natural gas, and electric trolley buses. Because of hydroelectric power, the trolley fleet is already at the 2050 target. Current diesel and diesel-electric hybrid buses will need to switch to Hydrogenation-Derived Renewable Diesel Fuel (HDRD). HDRD can be made with vegetable oils, animal fats, greases, and algae. It can be directly used in conventional engines. Renewable Natural Gas (RNG) will need to be used in TransLink’s natural gas powered buses. RNG can be produced from biogas coming from landfills and wastewater treatment plants. Cost is always an important factor to consider. The cost of HDRD is about the same a conventional diesel fuel. 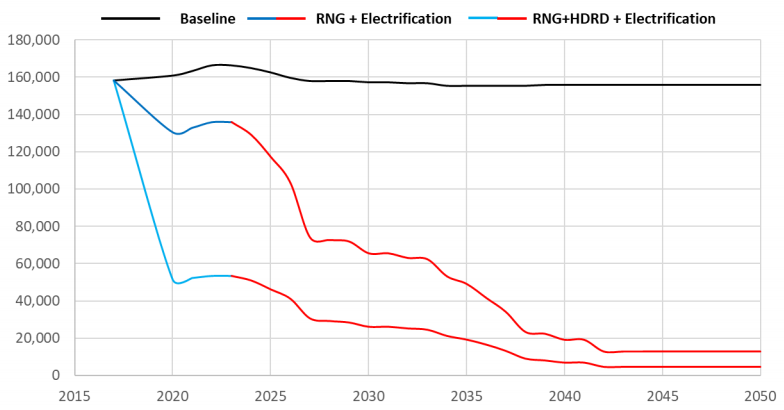 The cost of RNG is also on par with conventional natural gas. 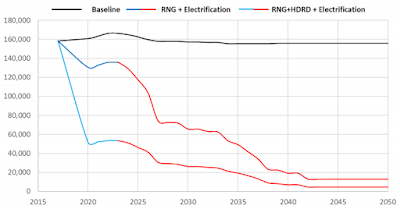 As shown on the following table, switching to HDRD and RNG fuels will get TransLink most of the way (see the light blue), but in order to meet the goal of reducing emissions by 80% in 2050, starting in 2023, the agency must start converting all its buses to electric. Projected GHG emissions from TransLink fleet transition. Select chart to enlarge. 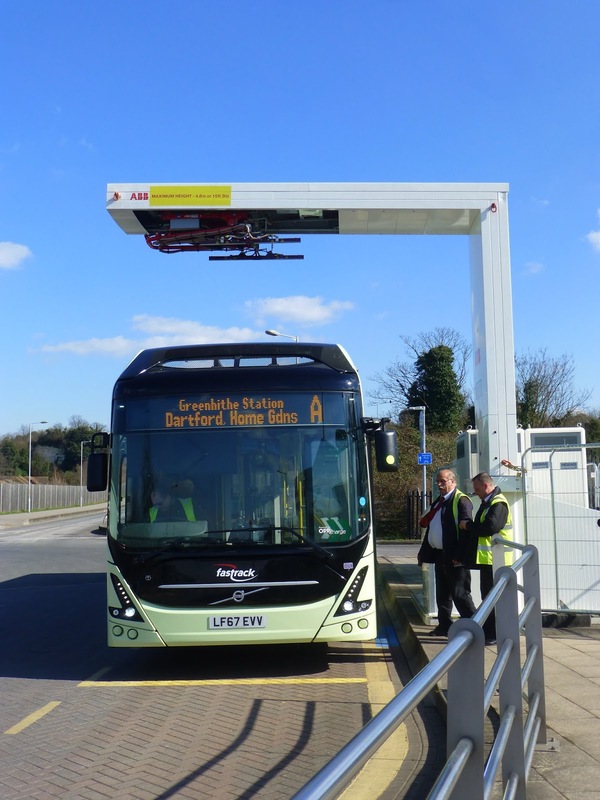 There are several electrification options that TransLink is exploring, but the future fleet will operate with a significant amount of battery-electric buses. These buses can either be charged when in depot, or at rapid charging stations on-route. This replacement plan will, over the lifetime of the vehicles, end up saving TransLink money. Cumulative incremental costs of electrification scenario 1. Select chart to enlarge. It appears that there is a workable plan to create a low-emissions bus fleet for Metro Vancouver.